Details: The project is coming up at Yamuna Expressway, Greater Noida. The project offers semi-furnished 1, 2 and 3 BHK apartments with G+15 floors, having 2660 units. 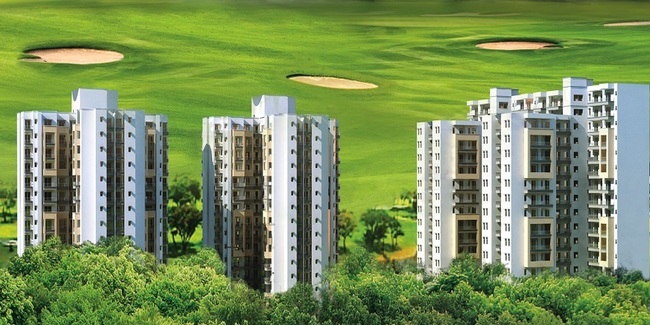 Apart from the basic amenities, the project offers, CCTV Camera Security, Earthquake Resistant, Gated Community, Property Staff, Vastu Compliant, Video Door Security, Wi-Fi Connectivity, Flower Garden, Garbage Disposal, Landscape Garden, Paved Compound, Rain Water Harvesting, Sewage Treatment, Badminton Court, Golf Course, Cafeteria, etc. Noida - 201307, Uttar Pradesh.